Several drivers arrived by car in a pit on Alexei Mateevici Street in the Capital. 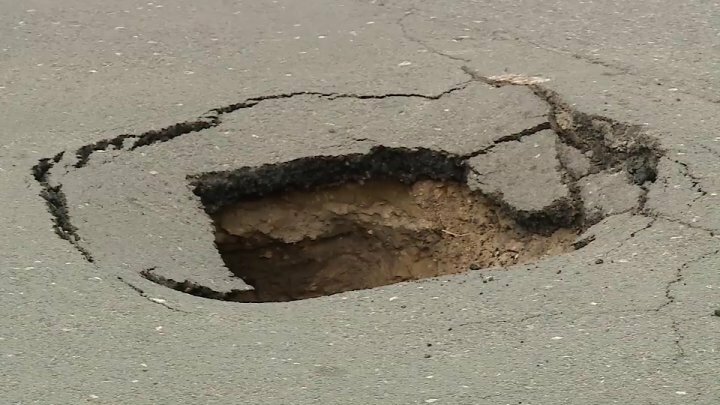 The asphalt broke down right in the middle of the house at the intersection with Bănulescu-Bodoni Street. In turn, the drivers were trapped. "It's a difficult road, you see what's going on. The ambush is very big". "Nothing, it is only bypassed. All roads from us must be bypassed." The head of the Transport Department of the Capital, Vitalie Butucel, said that the pit was formed last night due to a damage to the water networks. Employees of the Water-Canal Company have removed the problem, and the Exdrupo workers are going to asphalt the road.